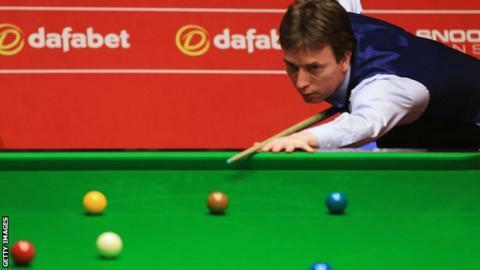 Three-time UK Championship finalist Ken Doherty wasted no time in moving into the second round in York. The 46-year-old world number 47 from Dublin thrashed fellow veteran Tony Drago 6-0 and will now play Mark Davis. Doherty told BBC Sport: "It's the best I have played all season, but the way I have been playing that isn't hard. "It was nice to play pretty well, score heavily and get a couple of centuries. I am delighted to win and play with a bit of confidence like I used to. He added: "There's life in the old dog yet, but it's finding consistency."